The Tour de Waterloo took place on Sunday June 24, 2012 starting from Sybase / iAnywhere Building Parking Lot in Waterloo Ontario. It was a Gran Fondo Mass start road race with 3 different distances. 40km / 70km / 130 km. This was typically the same weekend as the 24 hours of summer solstice at Albion Hills near Bolton Ontario XC mountain bike relay race. For many years I raced this event but not this year. The original intent was to just have a relaxing weekend and perhaps head out of town for a short road trip. Just 20 days earlier my girlfriend and I returned back from a 14 day vacation touring through Italy. As many who have been or just enjoy food in general, what you do in Italy is indulge in the great food and wine offered by such a beautiful country. I unfortunately was not there with my bike to ride the amazing roads through Toscana. The only excercise I saw was 10+ hours a day on my feet walking and touring around the small towns of Toscana and Cinque Terre. I learned that I was selected to ride the 130 km road race while I was on vacation via email. The story begins 3 days before I was leaving for my 2 week vacation. At work I saw a posting on my company's intraweb page looking for seasoned cyclist to form a team for the tour de Waterloo 130 km Gran Fondo road race. Clicking the link offered a boring HTML form to fill out. Similar to the ones you fill out to register for a website to buy something. 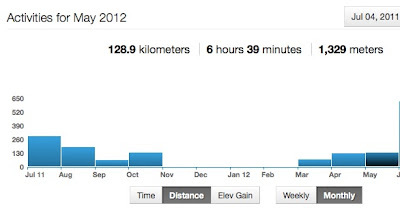 The questions I remember asked, can you physically cycle 130 kms? Are you able to maintain an average of 27 km/h throughout the distance. Are you available Sunday June 24th? Describe your previous race experience. What size Jersey do you wear? I clicked on, Yes, Yes, Yes, and listed my past race experience competing in the Plastigas Ontario XC MTB races for 3 years, Racing at the weekly Tuesday night Albion Hills mountain bike race, current UCI race license holder for 2012, and have been cycling seriously since 2006. Oh and Size Large please. I vaguely remember pondering, should I do this or not but ended up clicking on submit and thought... hrm... I wonder what will come of this. CRAP! was my first thought. My 2nd thought was, quick... let's do a gut check. Figuratively and literally as I had just polished off 1/2 a bottle of Brunello and a 4 course meal. What am I going to be doing for the next 1.5 weeks? Eating gelato and drinking lots of wine with 4 course meals? Not good at all. Not all was lost. There was still 20 days between returning back from home and race day. I figured if I could ride 160+ km per week up to the race weekend I should be OK.
Talk about being the definition of "Hack Racer". Not enough riding, thinking you can race with the big boys and not watching your diet. But this wasn't going to stop me. Game on. For all the followers who don't know me, I work as a Program Manager for Research in Motion. 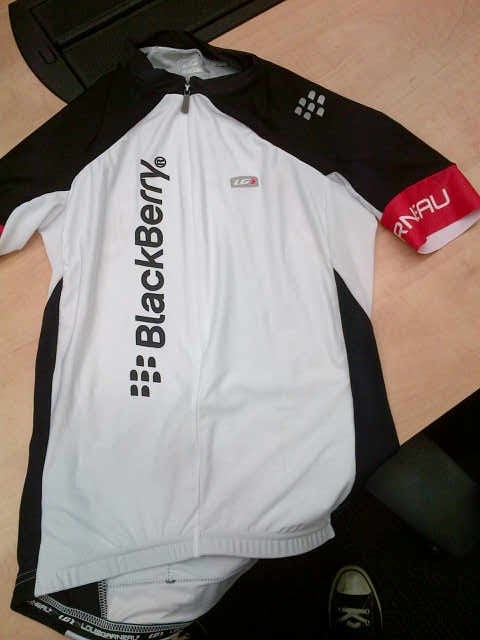 Blackberry was the title sponsor for the 130km loop for the tour de Waterloo. I felt honored to be selected to race for blackberry and to represent all my coworkers globally at a race we sponsored locally for the community. There was also something else I had kept on thinking, that this was going to be closest it was going to get to being a professional cyclist. Never had I once imagined someone other than MasterCard would pay for my race entrance fee, pay for a jersey, do all the planning and logistics for me to go riding my bicycle. Needless to say I continued to eat lots of excercise little on my vacation in Italy. I'm sure there will be posts about the trip at a later date. Many of my friends and relatives are bugging me to summarize the trip so they could follow in our foot steps. 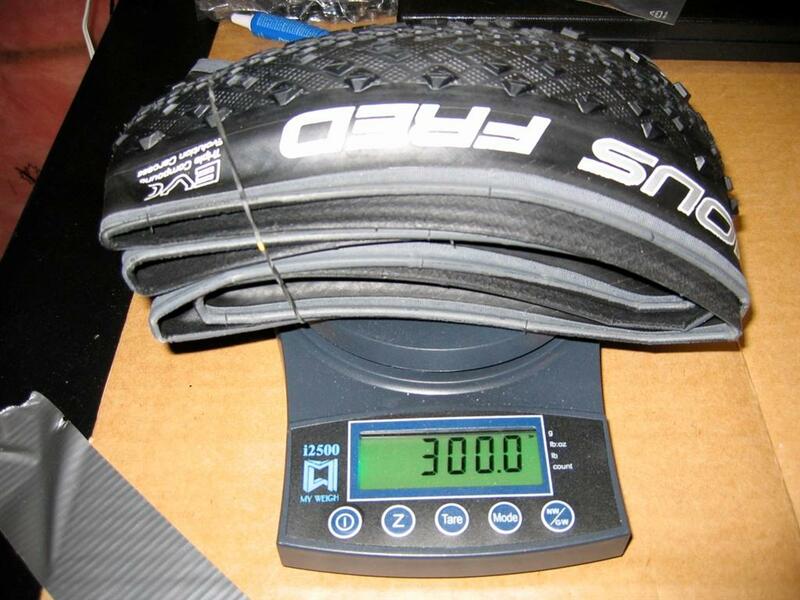 These days having a high performance carbon fibre bicycle is not enough. You have to ensure you are able to extra every bit of performance. Regardless if you are a recreational rider or a club racer, knowing that you left it all out on the road brings us all satisfaction. A while back I wrote about my experience with being professionally fitted on my bicycles using the retul technology. 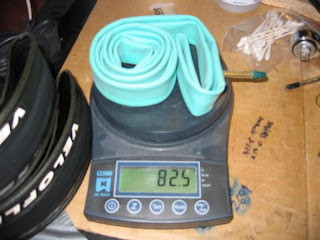 Back in 2008 when I first looked into bike fitting there were not many options. You had the bicycle shops who would eye ball you based upon years of experience selling bikes and making taking 1 or 2 courses or reading a book. In Ontario, Canada at the time there was a physiotherapist/trainer out of University of Guelph who was Serrotta certified. 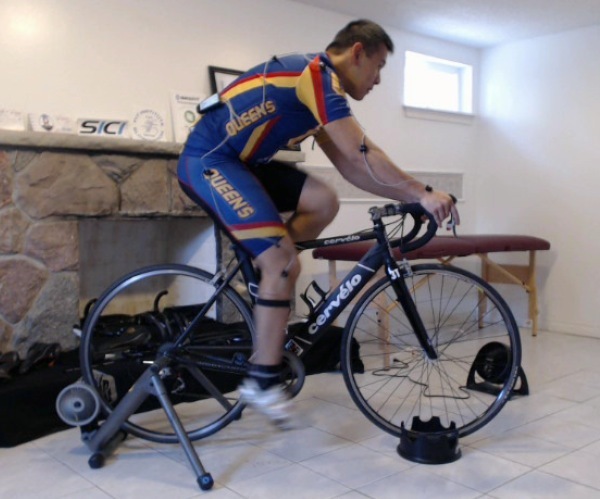 In the end I went with an MacLean who runs http://www.imfit.ca/ and is certified on the RETUL system. 4 years is a long time. As a cyclist I have gained a lot more experience from the kilometers ridden and to understanding how my body responds to different conditions. 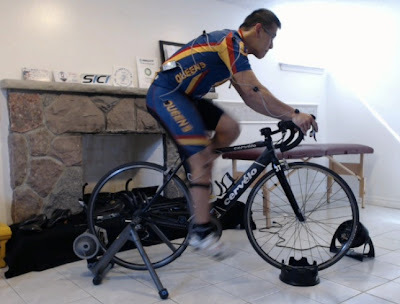 When Winston Tam proprietor of Friday Fitness (http://www.fridayfitness.ca/) told me he would be back in town visiting Toronto, Ontario, Canada from Taipei, Taiwan I quickly asked him, "Hey, we going to rip some single track up?" the response was of course yes. 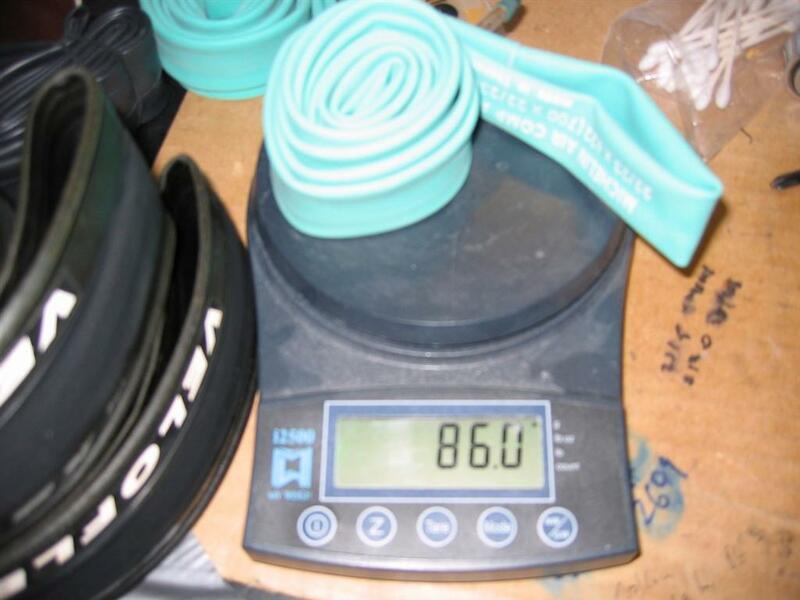 But more importantly he had all his Retul and bike fitting gear with him. So before we set out to rip up single track I arranged with him to do a tune up fit session from the one I did 4 years ago. 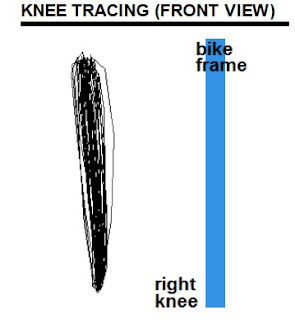 4 years ago there wasn't much choice if I wanted professional bleeding edge sport science in terms of bicycle fitting. But as time moves on, more choices are available. What is important when selecting a fitter is not what tools he/she has to measure your body. But rather what education he/she has and what experience they have as a rider or racer to help you achieve your best. 4 years ago I told Winston Tam about my fit session. He was intrigued. I told him he should start his own shop doing exactly this. He has been racing bikes for close to a decade. This is important, because you want someone who understands the conditions you are dealing with. Fortunately after 4 years he finally decided to pursue it. In Winston Tam fashion he made 110% sure he could offer the best and most comprehensive service possible. He spent a lot of time studying and training to become certified in the following leading edge bio-mechanics and performance systems. At first Winston and I thought it would take around an hour to be done with my fit. Seeing how I had a previous fit session done with someone else several years ago. The idea was to do the fit session and go hammer our mountain bikes at Durham Forest for the rest of the afternoon. That quickly changed once Winston saw how my body was performing on my bike. I took the same bike as the one I used for the fit session 4 years ago. 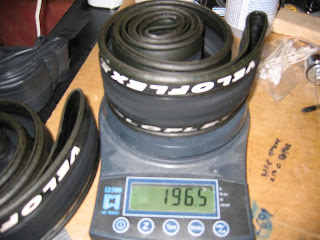 My Trusty 2006 Cervelo Soloist Team, true to the original fit dimensions. 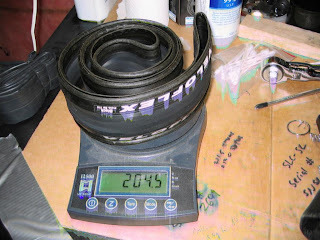 During the fit session with www.imfit.ca 4 years ago the saddle height was drastically lowered by Ian. 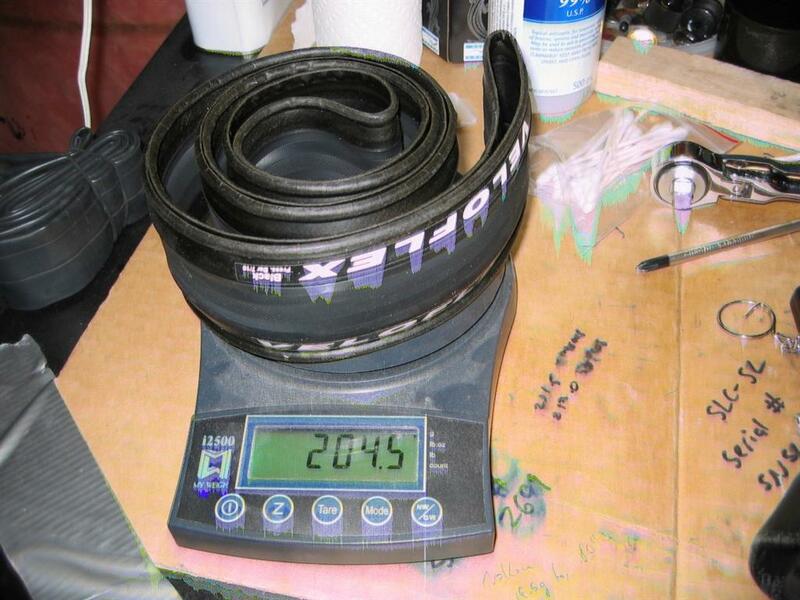 He believed that my saddle at that time was too high and was contributing to a poor hysteresis knee trace (making doughnuts) as it goes up and down. I recalled 4 years ago that he also did not like the fact that my toes were constantly pointing down at the ground rather than level with the ground during the pedal stroke under power. He spent most of the time correcting the knee trace and the knee pointing and said that would be the key to fixing my lower back pain. What I noticed for the next couple of years I was slowly jacking the seat post back up myself as I felt crammed while riding. Yes my toes were pointing parallel to the ground, but I felt my hip was always closed off and I wasn't able to generate maximum power, and that the range of the pedal stroke that I could put a lot of power down was little. Once Winston saw my fit he confirmed my feelings that the fit was no longer working. So we started the fit session from scratch. Winston assessed my flexibility after warming up, looked at hip angles, knee traces, power output, smoothness of the cadence, just like what was done during my 1st fit session 4 years ago. We played with moving the saddle up, up some more and then really high up, moved the saddle forward, verified that the pivot angles for my legs were within ideal range and then played with the shoes. After all the adjustments I asked, "what about all the concerns the previous fitter had, such as toe pointing?" Winston replied, "You do not have excessive toe pointing and there has been no research stating any negative effect on toe pointing. According to F.I.S.T. methodology unless there is excessive toe pointing the rider should be left alone." What Winston brings to the table is not just relying on technology but rather he successfully blends the experience he has as a racer, and all the knowledge from the being RETÜL 3D Certified, SICI Advanced Certified, BIKEFIT Certified and F.I.S.T. Certified to get you into the ideal position. It's too bad I don't have enough steerer tube length left. Else I would put more spacers on instead of having the stem angle up, however being comfortable and relaxed is the goal to be able to generate power and ride long distances. Looking at the two pictures you can see the hip is more open, with a more relaxed shoulder. 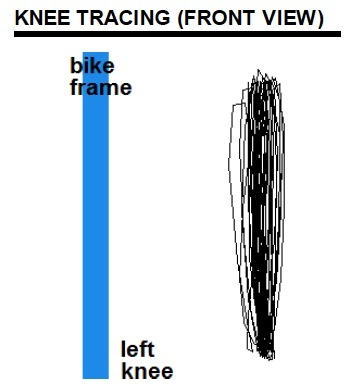 The higher saddle position also didn't affect my knee trace either. With close to 1000 kms on the new fit, I can confirm the fit has worked wonders to improving average speed with less soreness in my shoulder and lower back. 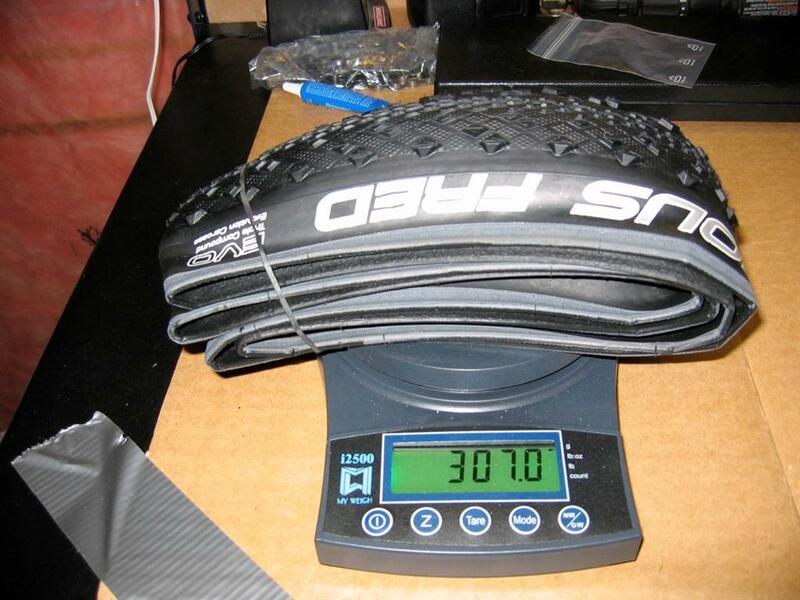 All of which means faster riding and more blue sign victories on the road bike. [updated July 11, 2012 for formatting/grammar/spelling].